We will be performing at multiple locations throughout the summer. We hope to see you at the following events! This entry was posted in Uncategorized on June 16, 2017 by Maestro. 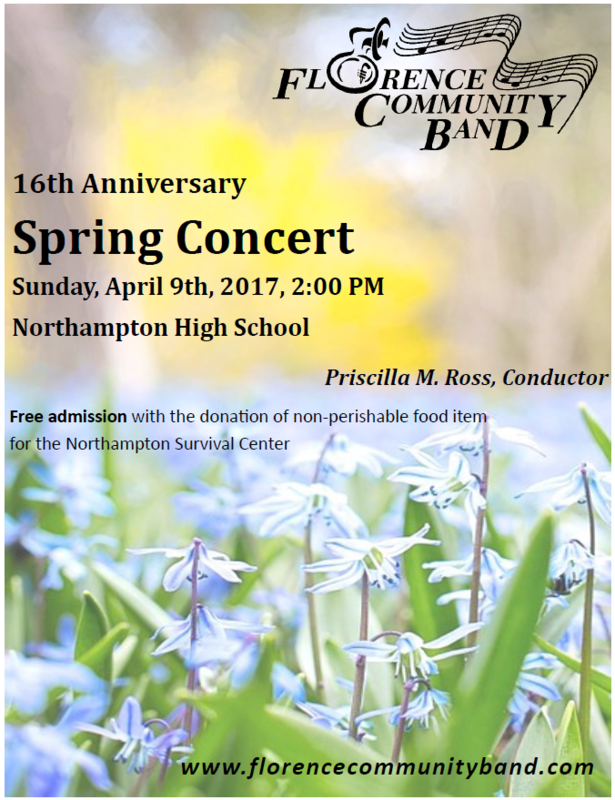 This entry was posted in Uncategorized and tagged Spring Concert on March 10, 2017 by Maestro. Rehearsals for the 2017 season will begin on Wednesday, January 11, 2017 at 7:00pm at Northampton High School. This entry was posted in Uncategorized on January 3, 2017 by Maestro. No rehearsal on Wednesday, March 9th. Trivia contest on March 11th. Please note attire – and prepare accordingly for the concert (hats/sunglasses/gold chains). Check out our Facebook page for more activities and entertainment from our members. And this Friday, March 11 Blue Bonnet Diner. 6:30 pm. Eat first. Come support our brave contestants: Priscilla, Rose, Suzanne, John, Nancy (Jim), Sylvia (Bob), Bobbin, Liz, Jenna, Raine, Betsy, and Lydia. Polka dot theme, so if you have polka dots or polka dot clothes, please offer our trivia heroes some. This entry was posted in Uncategorized on March 7, 2016 by Maestro.